On a recent service call—I had an LG gas dryer with a *no heat* complaint—all components checked out fine. As I was testing the NUMBER 2 gas valve coil for 90 volts from the MAIN BOARD (inserting the test meter leads into the gas valve coil plug) the gas burner began functioning. The plug at the GAS VALVE COIL (there are two sets for coil no.1 and another for coil no.2) was not tight enough–in my case–the number 2 gas valve coil plug was too loose. I removed both plugs from the gas coils and slightly bent the plug connectors on the gas valve coils. One slightly downward and the other slightly upward—reconnected the plugs–and the gas burner functioned perfectly. 5) COIL no. 02 is energized (90 VOLTS )—Flame Ignites. 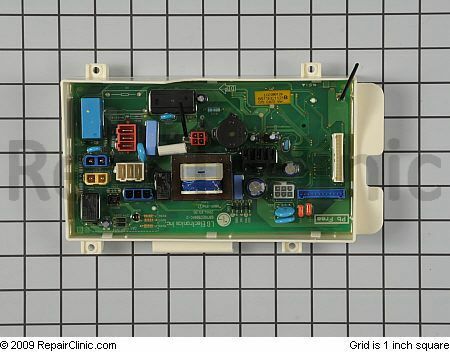 If no power is measured at the gas valve coils (90 volts)–replace the MAIN BOARD. This entry was posted in Dryer Repair on September 2, 2010 by Samurai Appliance Repair Man.